That mountain lions have managed to survive at all in the Santa Monica Mountains of California—in the vicinity of the megacity of Los Angeles—is a testament to the resilience of wildlife, but researchers studying these large carnivorous cats now show in the Cell Press journal Current Biology on August 14 that the lions are also completely isolated, cut off from other populations by the freeway. According to the researchers' analyses, only one young mountain lion successfully dispersed into the Santa Monica Mountains in a decade. Due to their almost complete isolation, the Santa Monica mountain lions show dangerously low levels of genetic diversity, the study shows. The circumstances have also made the Los Angeles-area cats incredibly sensitive to individual behaviors. That single male that immigrated in 2009 and successfully mated substantially enhanced the genetic diversity of the entire population all on his own. "Many of these phenomena, including very low genetic diversity and close inbreeding, have only been previously seen in Florida panthers, an endangered and completely isolated population of mountain lions," says Seth Riley of the National Park Service. 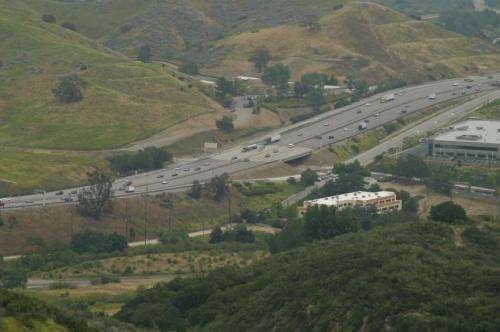 "In our case, the fact that lions in the Santa Monica Mountains are completely surrounded by roads and development likely lead[s] to behaviors that would be rare or nonexistent if normal population and social processes could occur." Among those behaviors, Riley and his colleagues found evidence of close inbreeding events between fathers and daughters and of intraspecific killing, even of offspring, siblings, and mates, all behaviors that the researchers suspect would be rare or nonexistent if sufficient movement between populations was possible. While one male lion moved into the Santa Monica Mountains during the study period, to the researchers' knowledge not a single young mountain lion has successfully dispersed out, when normally 75% of young lions—all of the males and half of the females—would likely disperse. Riley says the one possible exception that proves the rule is a single male "who dispersed likely from the Santa Monica Mountains out to Griffith Park, where he lives in a tiny dead-end home range." Increased connectivity is critical for the long-term survival of mountain lions and other wildlife in the region, Riley says. Unfortunately, no one was thinking about that 60 years ago when the Los Angeles freeway was built. As a result, Route 101 is a development corridor, with very little natural habitat on either side. 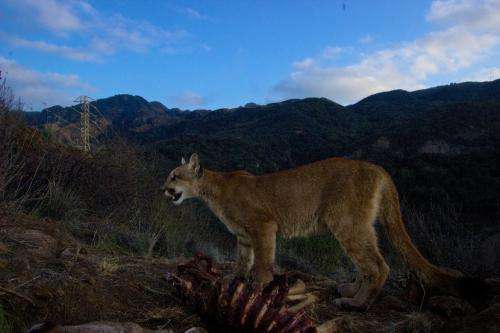 Riley says the National Park Service, the California Department of Transportation, and other local agencies have been working for over a decade to try to obtain the funds for a wildlife crossing, ideally an overpass, for carnivores. On the bright side, that one successful male immigrant shows that it might not take many successful crossings to get wild populations in much better shape at the genetic level. Otherwise, the future is easy to predict, Riley says. "If wildlife connectivity is not considered and planned for, or improved in places like southern California where it has mostly been lost, large carnivores, which exist at very low densities and need to move great distances, will not persist." 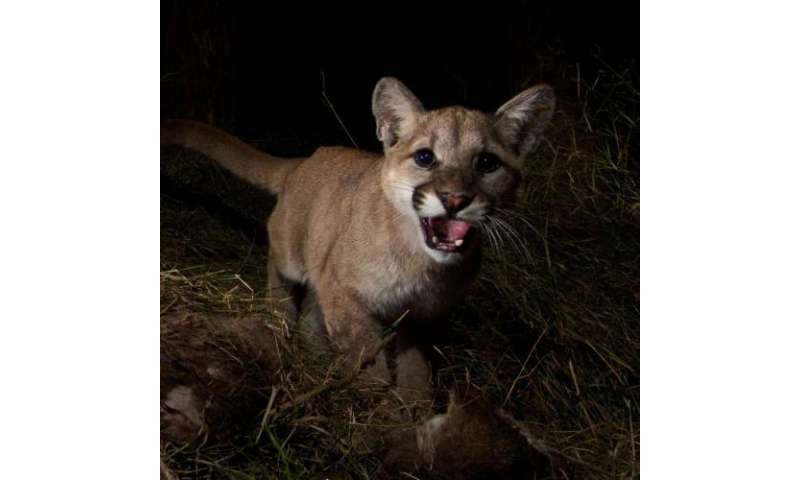 Wildlife forensics team reveals mountain lions' struggle to survive near L.A.